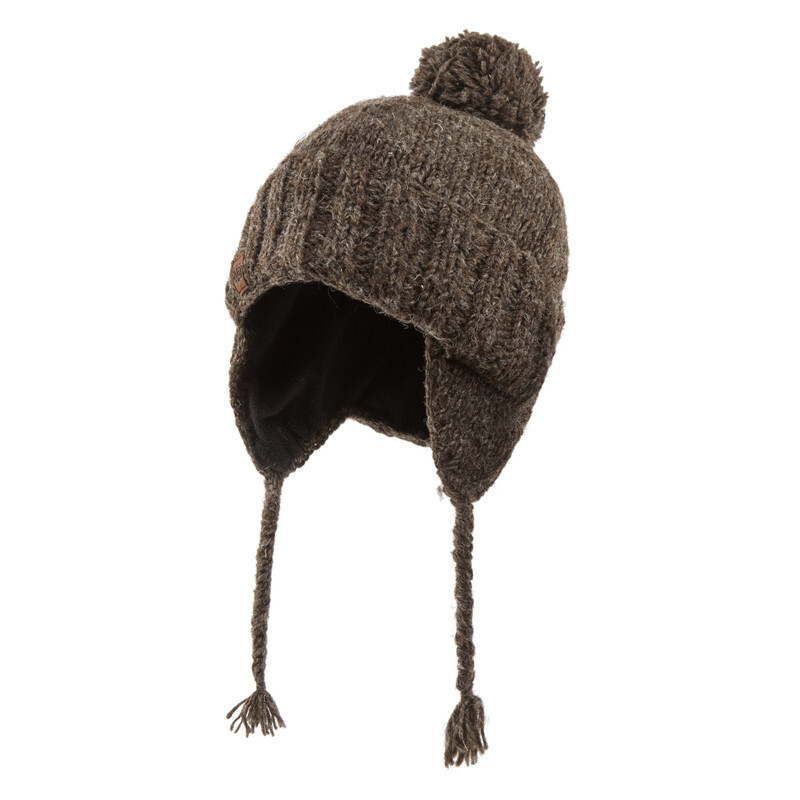 Inspired by Nepalese folklore, the Yeti Hat in Maato Brown is the perfect accessory for cold and windy weather. Featuring ear coverings and side strings to attach around the chin, as well as super soft micro fleece lining, this chunky knit hat is perfect to block out chilly winds. Named after the Yeti, an ape-like entity taller than the average human and said to inhabit the Himalayan region of Nepal, this hat is finished with a self-coloured chunky pom pom.